The srf file extension is associated with the PowerBuilder, a 4GL rapid application development tool for Microsoft Windows that allows programmers to create business applications. The .srf file contains function data. PowerBuilder is the award-winning development tool that simplifies the building of data driven, business applications. PowerBuilder is both revolutionary and proven technology, a dynamic duo that catapults the developer experience out of this world. Programs supporting the exension srf on the main platforms Windows, Mac, Linux or mobile. Click on the link to get more information about Sybase PowerBuilder for create srf file action. 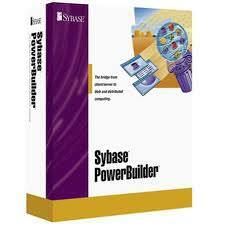 Click on the software link for more information about Sybase PowerBuilder. Sybase PowerBuilder uses srf file type for its internal purposes and/or also by different way than common edit or open file actions (eg. to install/execute/support an application itself, to store application or user data, configure program etc. ).